Thank you. Thank you. 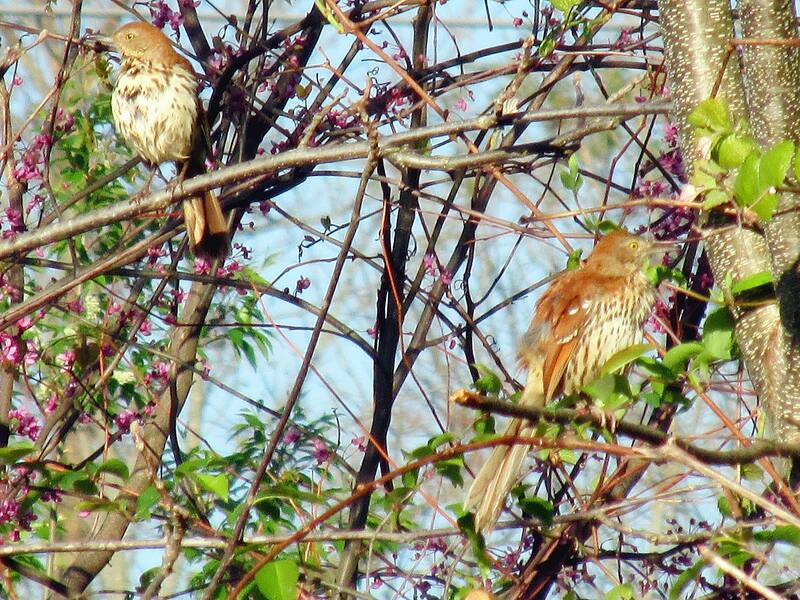 I’m an amateur bird watcher for the first time this year. My feeders are drawing many birds to my delight. 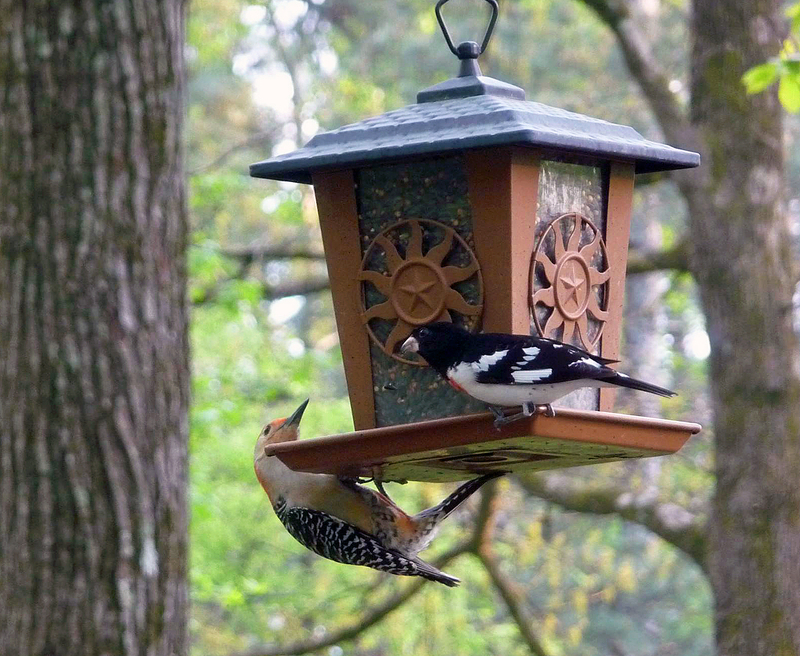 Today, for the first time, I saw both a male and female grosbeak. It took me two hours on-line to come across your article and picture to find out what they were. They are BEAUTIFUL. I have taken many pictures. 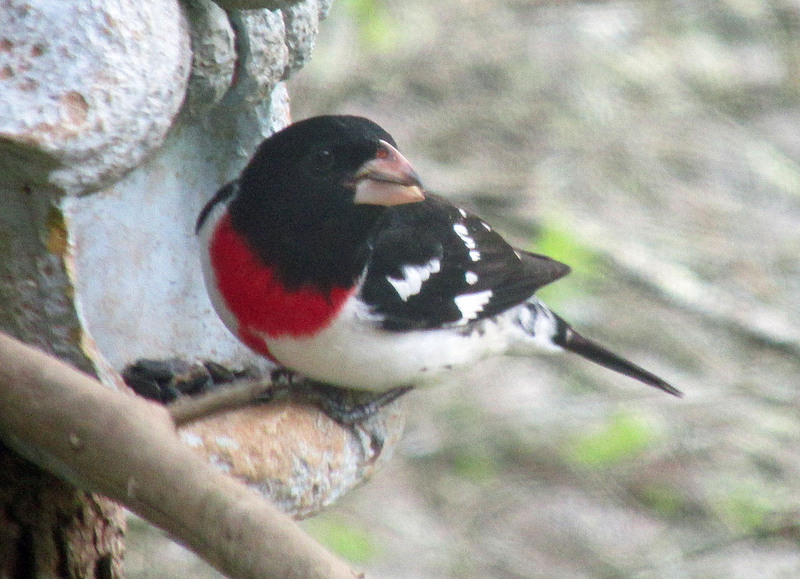 I’m so happy you were visited by Rose-breasted Grosbeaks. They’re incredible birds. 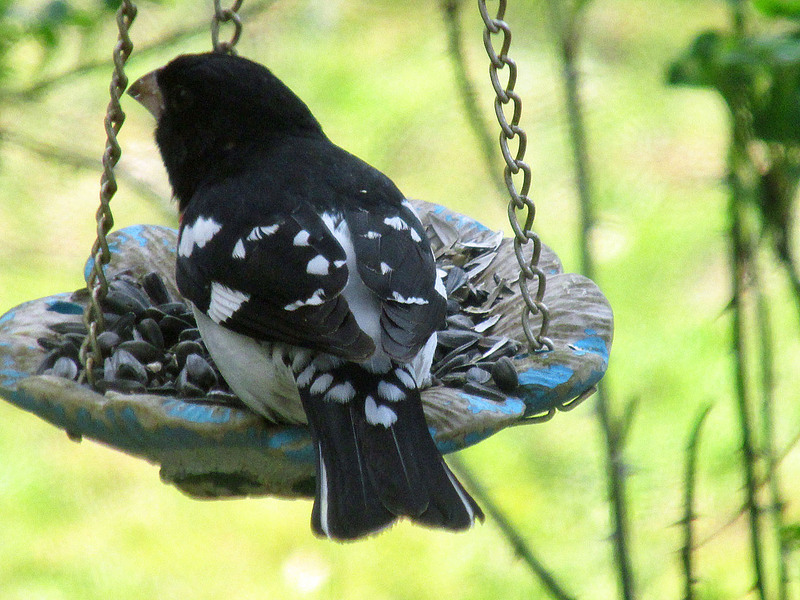 I live in northwest tennessee (clarksville) and I have had several grosbeaks at my feeders for 3 weeks now. I was just wondering why the change from normal? They are very pretty and have a wonderful song, and everyday I return from work hoping they will still be here. Hi Danny. 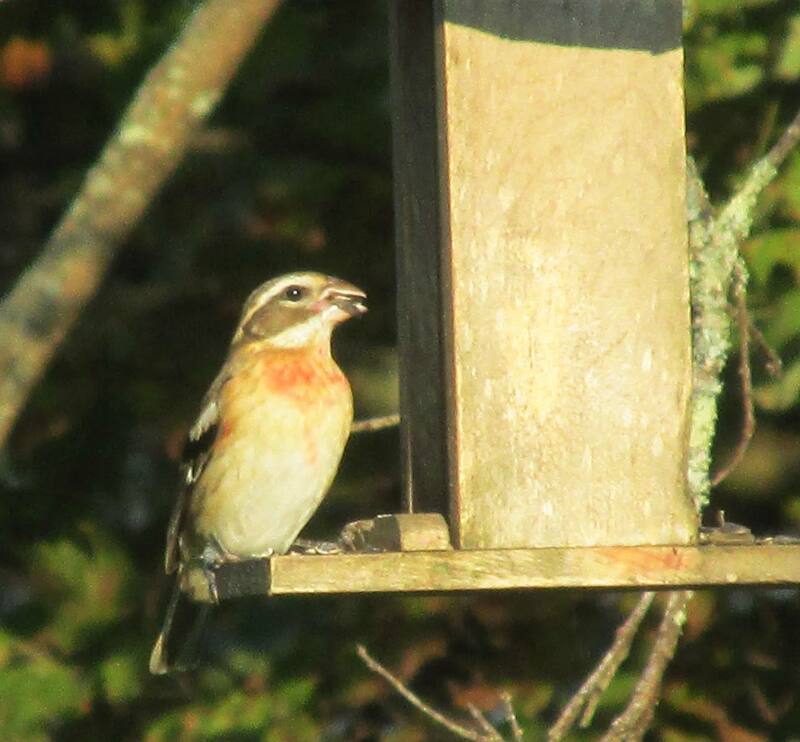 I am not really sure why you’re having so many grosbeaks for a long period of time, but I am very happy for you. I usually feel lucky to just have them stick around a few days, let alone three weeks.